Flies and flying insects can be real pests around the home, particularly if in large numbers. However, some species of fly also transmit a wide range of diseases including salmonella, dysentery, tuberculosis, cholera and parasitic worms. In this country, mosquitoes are less likely to spread disease than in the tropics, but the irritation caused by the bites can still be distressing, particularly for children. Usually metallic blue or green but can be black or grey. Significant numbers in a house will often indicate a dead animal (such as a mouse) in the property. 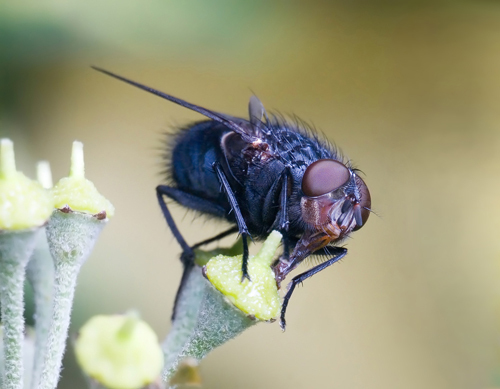 A professional fly control service will often be required to get rid of large or multiple fly problems. Pesky Critters’ technicians are well trained, understand the habits of the different fly species and have a range of treatments to get rid of flies effectively. If flies are bothering you in your home then get in touch with Pesky Critters for one of our technicians to carry out an investigation of the possible cause, eradicate the problem and advise you on preventative methods.